Mary "MarBear" A. Britton, 91, passed away Sunday October 21, 2018 at P.A. Peterson in Rockford, Illinois. She was born April 23, 1927 in Athens, AL, the daughter of William Lee Smith and Zilfa Jane Smith. Mary married Garlan Britton in 1947 in Trumann, Arkansas. Mary is survived by her sister, Effie Marie Cogdill; son, Dan Britton; daughters, Diann Springer, Rose (Glenn) Joseph, Judy Britton, Janet Britton, and Angela Britton; and 18 grandchildren; 38 great-grandchildren; and 14 great-great-grandchildren. She is preceded in death by her husband, Garlan; son, Chuck; daughter, Michelle; brothers, Bill Smith and Andy Smith; and sister, Helen Davis. Mary was immensely proud of her family. In addition to raising eight children she helped raise many of her grandchildren. She excelled in hospitality and kindness; she exuded care and compassion. Family and friends alike could count on Mary as a source of strength and encouragement in every season. Mary worked at a number of manufacturers in Rockford including Nylint Toys, Dasco, Amerock, and Northern Illinois Hospital Services. In retirement, Mary enjoyed traveling with her husband, Garlan, spending time with her friends, sewing, and reading books. A memorial service will be scheduled at a later date. In lieu of flowers, a contribution to Heartland Hospice in Mary’s name is encouraged. 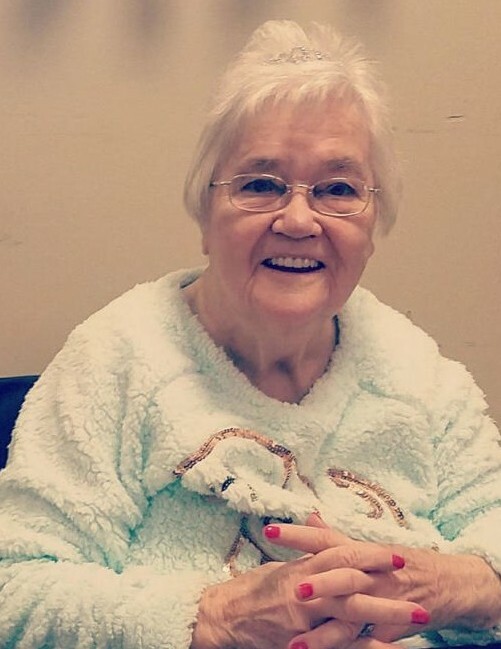 Mary and her family are grateful to the loving friends she made at P.A. Peterson as well as the angels at Heartland Hospice.